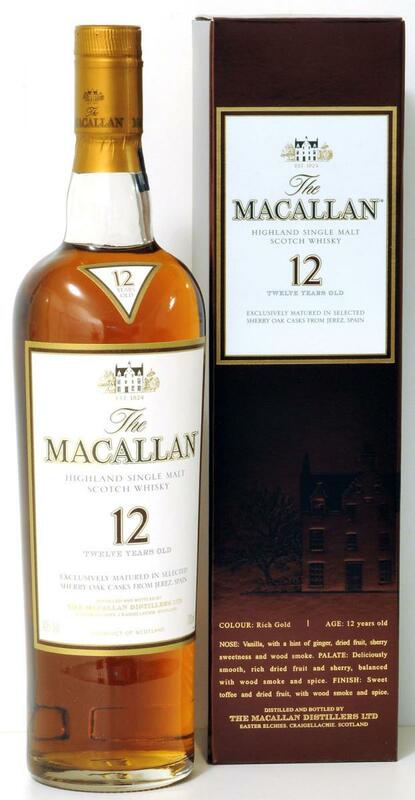 There are many associations when it comes to Macallan, the ‘Rolls-Royce’ of Single Malts. Natural color and quality sherry casks. Golf clubs and tumblers. Outrageous prices and pioneer of NAS expressions. You get it, I have mixed feelings. Creamy cherry yogurt, chocolaty raisins and mild spices (cloves) compose an elegant but fairly simple nose. On the palate, you get orange marmalade, barley sugar and dried fruits with prominent, zesty wood tannins in the aftertaste. The quality of this 12-year-old classic is still there - but it's diluted and stretched thin. Just not that much fun. Far better at this selling point. I just don't get it why buying this instead of others.